Students will spend a half an hour on Ballet and half an hour on tap. In each style the students will learn the basics and fundamentals while a foundation is built for future training through musicality, self-expression, and discipline. What to wear: Light pink or black leotard with pink tights. Ballet skirts if preferred (NO tutus), Pink ballet slippers and black patton leather tap shoes. Hair must be pulled back out of dancers face. This class is designed to hold the interest of the younger student but intended for a slightly older and more mature dancer than the Pre Classes. At this level true dance discipline is taught and dance vocabulary is expanded. What to wear: Black leotard, pink tights, ballet skirt if preferred, but only for ballet. Jazz pants or capris may be worn for Jazz and Tap. Split sole pink ballet shoes, black leather full sole tap shoes, and black jazz shoes. As the next step after B/T/J 2, this begins an in-depth training regimen into these core dance disciplines. Ballet emphasizes proper placement and techniques while Jazz will emphasize body movement and placement. Tap introduces more rhythm steps and tricks. This is the final combination class before the advanced a-la-carte classes. The goal in this class is to build upon already learned technique to refine the dancer before the advanced classes. Level 5: Understanding the relationship between music, rhythm and controlled movement with proper ballet technique. Level 6: New and more complex material will be taught at an accelerated pace. Students will begin to learn basic ballet history and develop a knowledge and great appreciation of the great ballets, classical music and famous dancers. Level 7 and 8: Advanced classes combining skills from previous level classes and correlation steps to lengthy and complex combinations with correct technique, extensive terminology and knowledge of the art of ballet itself. Students demonstrating satisfactory strength, technique and progress are recommended for Pointe Classes. All pointe students must be recommended by the Dance Owner and/or a Ballet Instructor. A dancer must take a ballet class along with pointe. Pre-Pointe: This class is for students who are not yet on pointe. It is an introductions to pointe were they learn the basics and focus on improving turnout and extensions. Pointe: Dancers will continue to build on previous learned skills and will learn more advanced technique while having an innovative and modern interpretation of song. What to wear: Leotard, pick tights, pointe shoes, and hair must be in a bun. Miss Serrah or Miss Rebecca needs to approve pointe shoe fit on the dancer’s foot. Do NOT sew the straps on them until you get their approval of the fit. Ballet is the foundation of all dance forms and is strongly recommended to become a well-rounded dancer in all disciplines. It helps with body placement, flexibility, balance, alignment, strength and technique. These are achieved through barre and center floor work. In these Open Ballet Classes, students will continue to learn and develop fundamentals, with a progression towards learning variations. Students will learn original steps from ballet productions, with an emphasis on artistic expression and stage presence. This is a great class for dancers wishing to experience the joy of dance, and to develop their performance skills! This class does not replace the Level Ballet Classes, but is to be taken to further your ballet education and technique skills. Open Ballet will not perform in the year end recital. What to wear: Leotard, tights, ballet shoes, and hair must be in a bun. Levels 5 and 6: Emphasis will be on the continued refining of expressive free movement while under control along with the extensions of feet, legs, and arms. Levels 7 and 8: As students’ progress and mature, jazz style movements increase in difficulty and creativity. Class format increases with additional center work, across the floor technique, and more complex jazz combinations. What to wear: Any color leotard, tan tights, and form fitting shorts or capris. Tan slip on jazz shoes. Hair must be pulled back out of dancers faces. Levels 5 and 6: This class is designed to refine tap skills, while moving beyond the fundamentals of tap. Students will learn the fundamentals to work towards new steps, rhythms, patterns, and combinations. Students will also learn different styles of tap such as Stomp, Showboat, and Rhythmic. Levels 7 and 8: As students advance their vocabulary, their combinations will grow. Students learn more tap-rhythms, sounds, and combinations. Advanced students progress with riffs, pullbacks, time steps, complex turns, and an extensive warm-up. Students must demonstrate the ability to build speed while keeping the clarity of their taps clean. Add all this to more complicated combinations and intricate dance routines, and this becomes a fun and challenging class. This class also accepts inter/adv adult tap students who are looking for a high level challenge. What to wear: Form fitting shirt and shorts or capris pants (must be able to see ankles). Black oxford tap shoes. Hair must be pulled back out of dancers face. Contemporary Level 5, 6, 7, 8 (by placement only) Must be enrolled in Ballet. Contemporary is a fusion of ballet, lyrical and jazz, with expressive motions that tell a story. Students will learn lyrical technique along with how to express emotion through movement. As students’ progress through each level, curriculum will become increasingly more complex and intricate. Levels 5 and 6: A combination of ballet & lyrical based movement used to enhance the young dancer who enjoys movement while using imagination with dance. It emphasizes interpretation of music while telling a story with movement that can be fluid or abstract. Levels 7 and 8: Contemporary class is designed for intermediate to advanced students with previous training in ballet. Students will explore partnering and weight sharing exercises combined with basic techniques and skills from ballet, jazz and modern. What to wear: Sports Bra, Camisole, or form fitting tank top along with form fitting shorts. Students can go barefoot or a pair of lyrical shoes might be required. Hair must be out of the dancers face. A perfect introduction to the theatrical arts! Students learn basic skills in acting, dance through the use of songs, stories, dances, and musicals. Both fun and educational, this class is designed to showcase the student’s talents and hard work. The class will encourage students to develop self-confidence and have fun. What to wear: Black leotard, black jazz pants, and black character shoes (1” heels). Hair must be pulled back and out of the dancer’s way. All Boys Hip Hop: Hip Hop dance is a form of dance that focuses on the hip hop culture, music, attitude, style and funk just for boys. Learn the latest hip hop moves taught in a gentle, yet challenging format. A high energy dance sequence will be created that is fun, funky, and great exercise too. No previous dance experience necessary; each movement will be taught step-by-step. 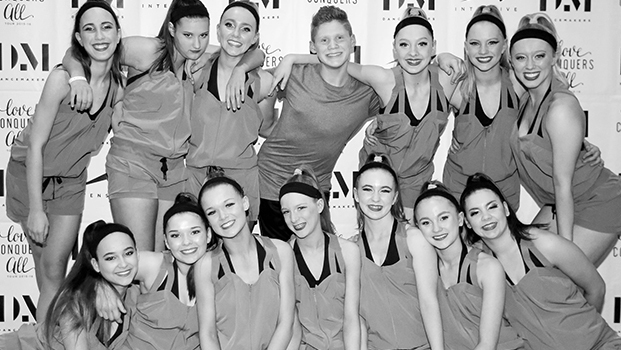 Beginning: This upbeat class introduces young dancers to jazz and hip hop fundamentals and uses age-appropriate music. Levels 5 & 6: This class teaches, rhythm, musicality, coordination, and age appropriate hip hop choreography and music. This is an excellent class for high energy kids who want to take a fast and fun dance class. Levels 7 & 8: This class teaches rhythm, coordination, musicality, and hip hop choreography and movements. Students are challenged to think on their feet while enjoying an energetic and fast-paced dance class. Our hip hop dancers develop focus, strength, and agility while having fun. This class helps dancers of all levels stay in shape and learn some new exercises they can use all year to increase their strength and endurance. Classes will be designed to work each dancer’s body, concentrating on the core muscle groups so vital to helping dancers at all levels improve their technique and control, as well as avoid injury. Exercises and combinations will be designed to focus and develop such vital techniques as balance, control, extension and flexibility. This class will not perform in the year end recital. This class begins with a full body warm up using breath and concentrating on releasing tension and gaining mobility. The following series of exercises focus on strong placement and classical technique that support a contemporary style balancing lyricism, fluidity, and athleticism. The class culminates in longer across the floor phrases and combinations that utilize the strength, body awareness, and the stylistic sensibility built up throughout the class. The dancers preview and learn basics from a variety of different modern dance techniques. 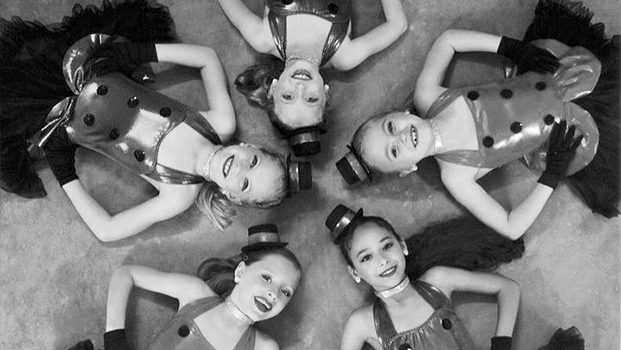 Acro 1, 2, and 3: Acrobatic classes consist of warm-ups, balance work and tumbling skills. This class is designed to give young students an opportunity to explore new physical abilities in a safe and controlled environment. Students will learn basic coordination skills while developing strength and flexibility. Students will be introduced to balance work, handstands, forward rolls, backward rolls, bridges, front walkovers and back walkovers. This class will not perform in the year end recital. What to wear: Sports Bra, Camisole, or form fitting tank top along with form fitting shorts. Hair must be out of the dancers face. A fusion of Ballet, Yoga, Pilates and Light Weights give you the ULTIMATE dancer’s workout. All of these principles into one class to sculpt, tone and leave you feeling invigorated. No Dance experience needed. A modern, challenging, and safe barre class that sculpts your body while providing a calorie-burning cardio workout. Set to an up-tempo and fun mix of music ranging from classical to contemporary, this class targets specific muscle groups through repetitive movements. It incorporates weights, therabands, exercise balls, and the ballet barre to build core strength while developing long, lean, flexible muscles. What to bring: Yoga mat and light hand weights (1-3 lbs. ), but no worries if you don't have these items. We can provide them for you! What to Wear: Fitness attire or workout clothes of any kind.